United States Attorney Peter F. Neronha today announced a series of public discussions and town hall meetings to raise awareness about the rising public health crisis in Rhode Island of opioid addiction, and opioid and heroin overdoses. The programs, announced in a release today, will begin on Monday, September 19, 2016, will reinforce the Department of Justice’s three-fold approach to the opioid and heroin epidemic - prevention and awareness; enforcement; and treatment. On Friday, Sept. 16, President Barack Obama and Attorney General Loretta E. Lynch designated the week of September 19-23, 2016, as National Heroin and Opioid Awareness Week. Regional town hall meetings and discussions organized in collaboration with Prevention Coalitions from across Rhode Island, and open to the public, will be held in Providence, South Kingstown, Woonsocket and Middletown on Monday, September 19 thru Thursday, September 22, respectively. Each program will include the screening of the powerful documentary Chasing the Dragon: The Life of an Opioid Addict; the personal stories of our neighbors touched by the epidemic of drug overdoses that is devastating families across Rhode Island; and a discussion with members of the medical, treatment, education, community-outreach and law enforcement communities. Parents, students, teachers, school administrators and the public are strongly encouraged to join the discussion at these events. On Monday, September 19, 2016, at 10:00 am, at the Brown University School of Professional Studies, 200 Dyer Street, Providence, United States Attorney Peter F. Neronha, joined by United States Senators Jack Reed and Sheldon Whitehouse, will kick off National Heroin and Opioid Awareness Week in Rhode Island with a screening of the powerful documentary Chasing the Dragon; the personal story of a local person impacted by addiction; and a discussion about heroin and opioid addiction awareness with local physicians, treatment specialists, educators, and the leadership of the FBI, DEA, and local law enforcement. Town hall meetings and discussion events around Rhode Island will continue on Tuesday, September 20, 2016. 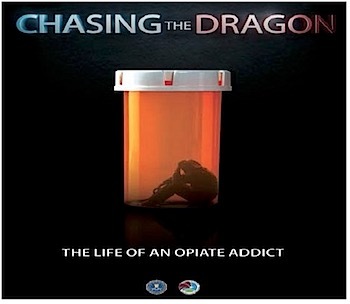 Each program will include a screening of Chasing the Dragon, the personal stories of local families and individuals impacted by addiction, and a discussion about heroin and opioid addiction awareness with local physicians, treatment specialists, educators, and the leadership of the FBI, DEA, and local law enforcement. Thursday, September 22, 6:30 p.m.